Merlin - Behind the Scenes. . HD Wallpaper and background images in the Bradley James club tagged: bradley james merlin colin morgan. 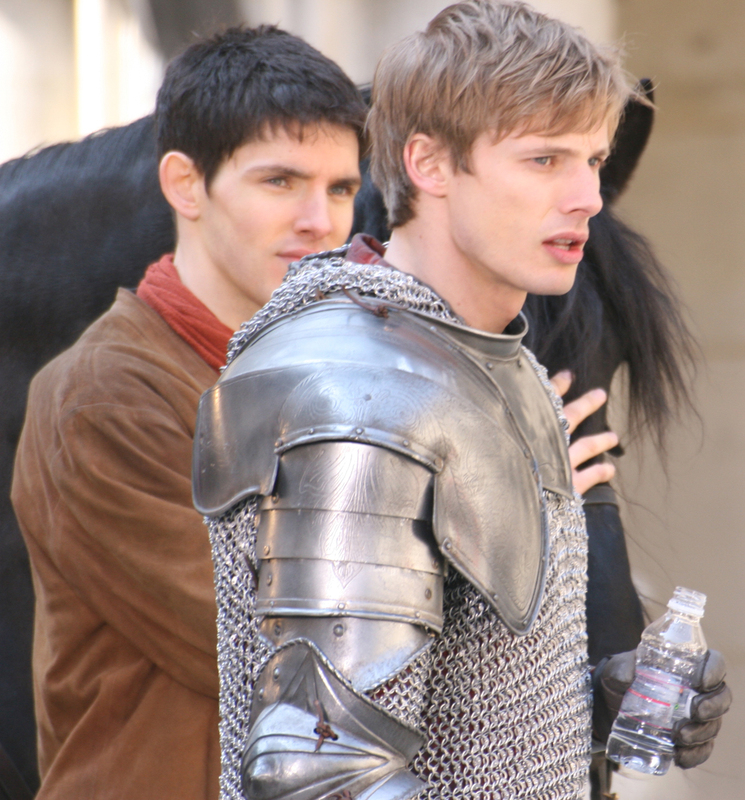 This Bradley James photo contains corazza, egida, egis, pettorale, lamiera di corazza, corazza, armatura a piastre, placcatura armatura, fauld, and fauld s. There might also be brigandine and brigantina.